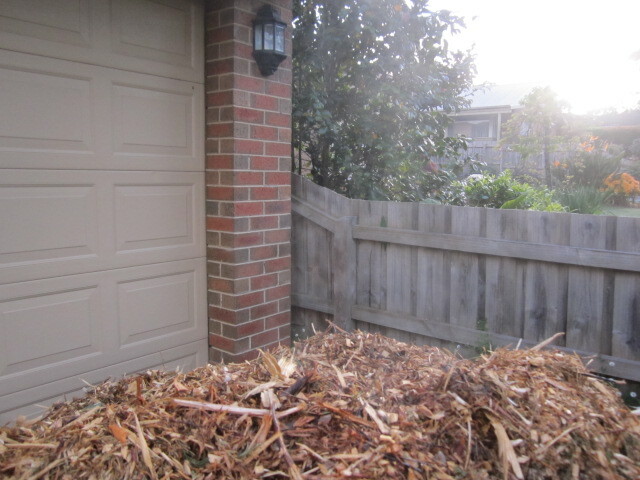 The mulch created by the massive pruning a couple of weeks ago has halved, with a lot of the leg work attributed to my husband. 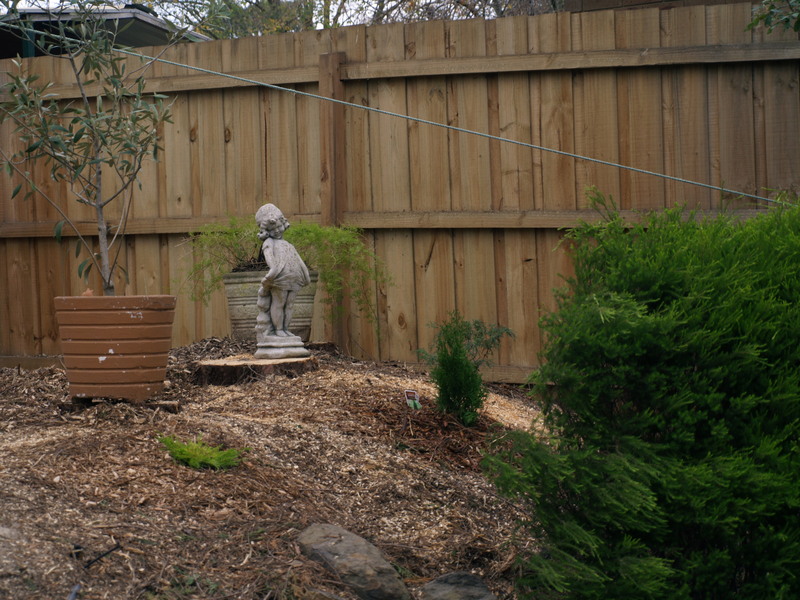 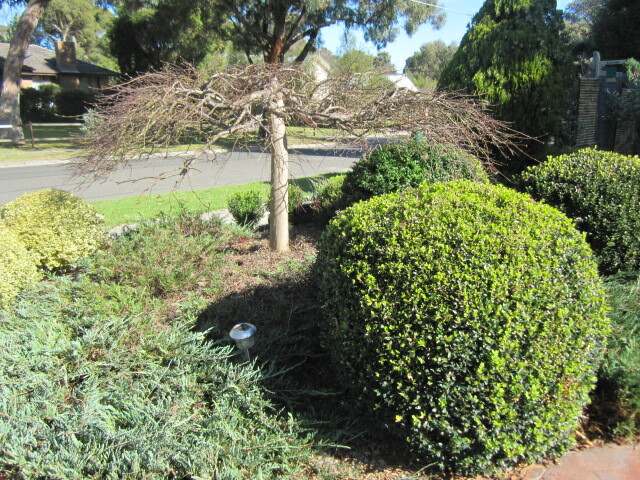 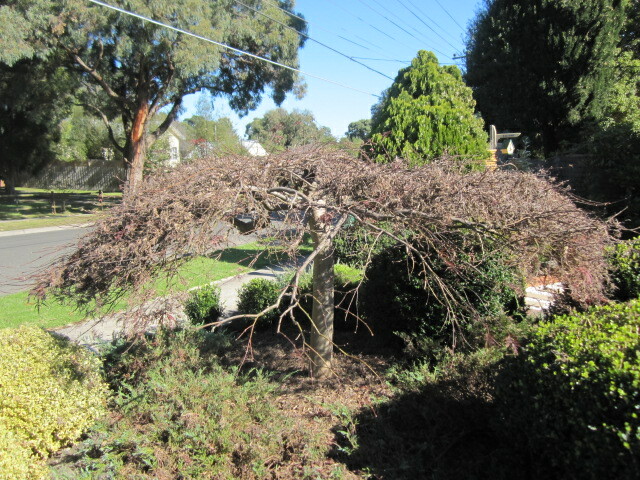 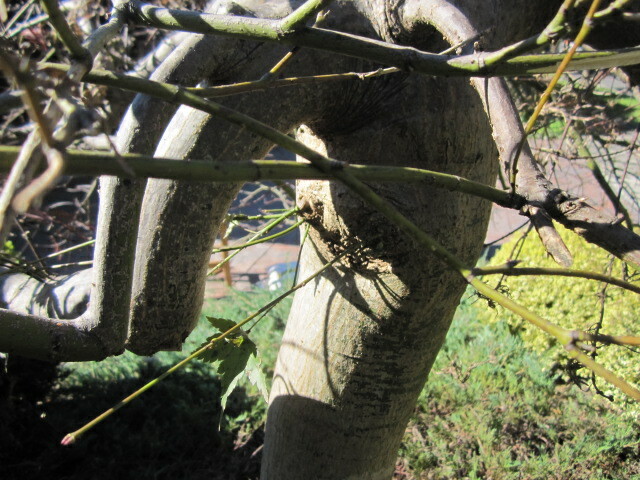 See my professional pruning proliferation, and professional pittosporum pruning posts. 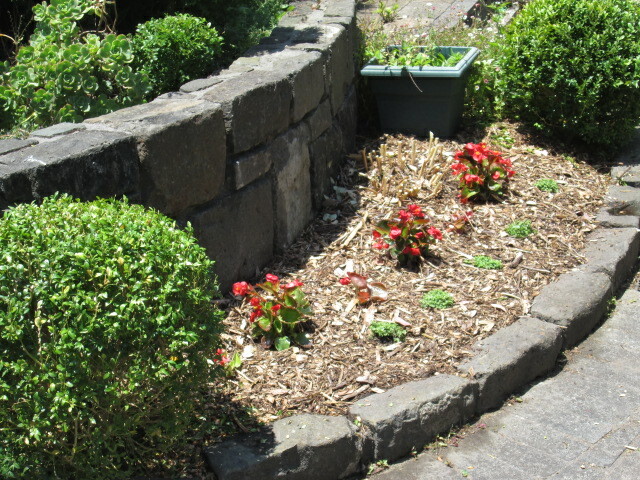 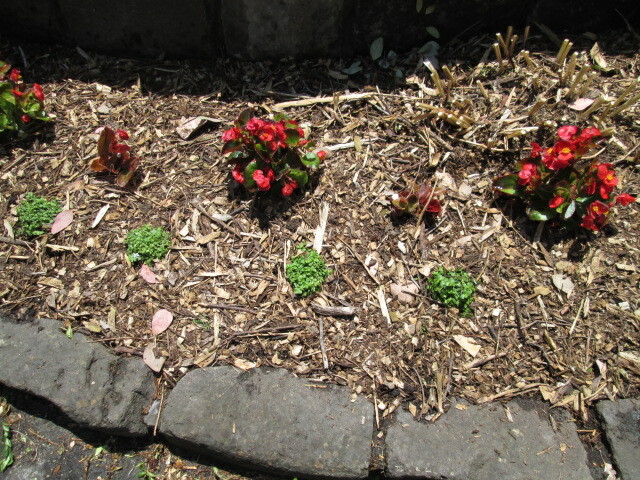 Meanwhile, I have been madly weeding, creating and rearranging edging for places in which to dump barrows of mulch. 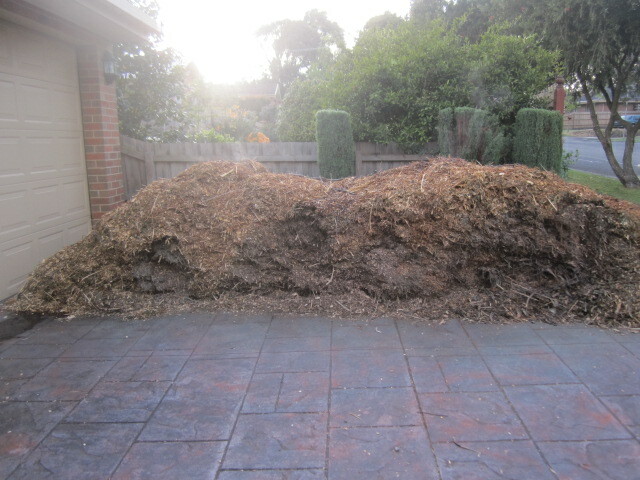 In the early morning you can see how much heat is generated by the steaming pile of mulch. 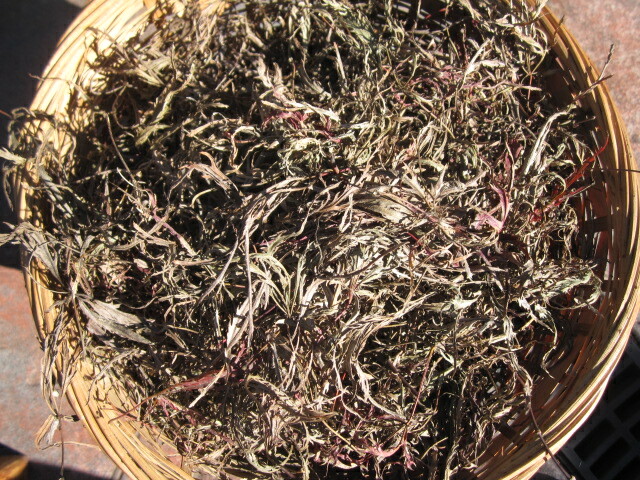 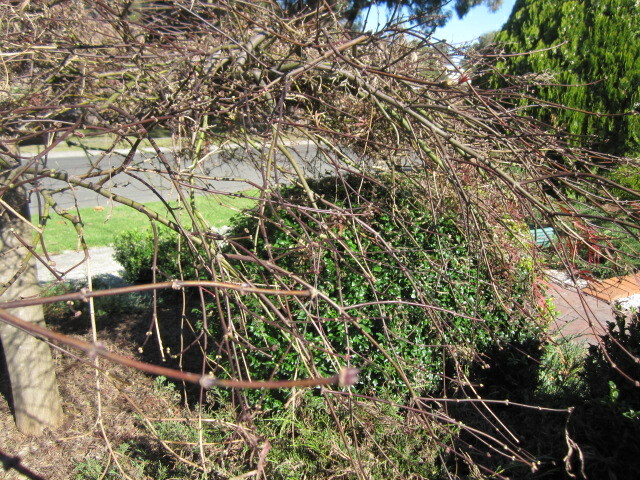 Severe pruning has its after-effects, such as this mountain of mulch. 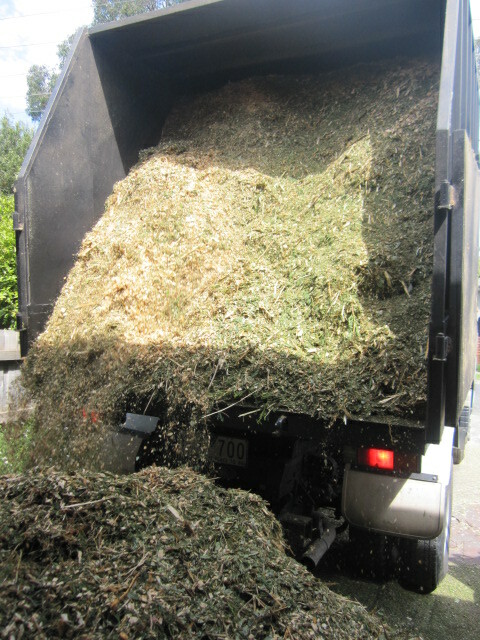 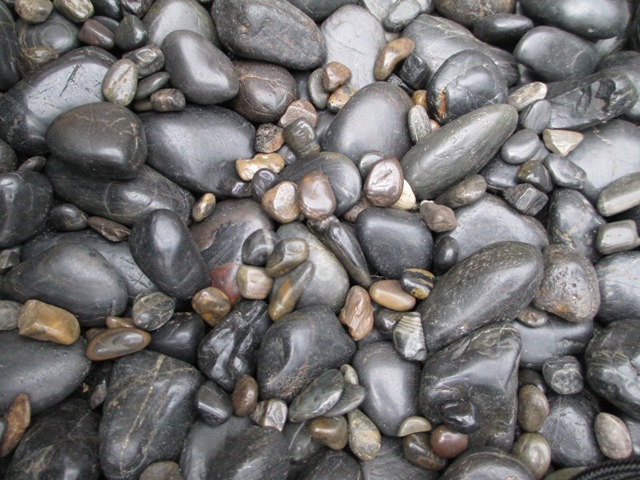 My estimation is eight cubic metres – phew! 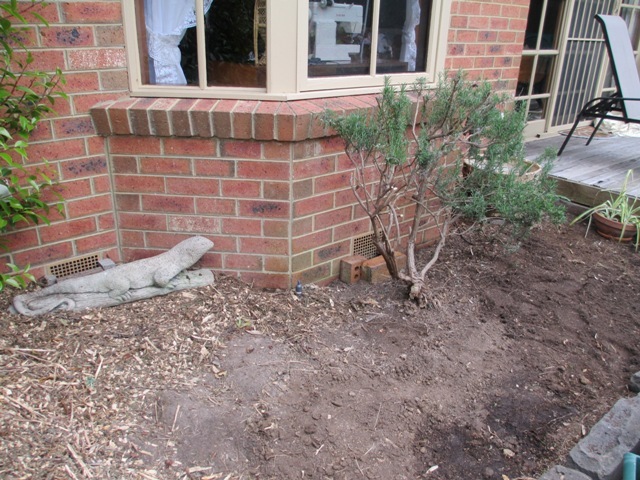 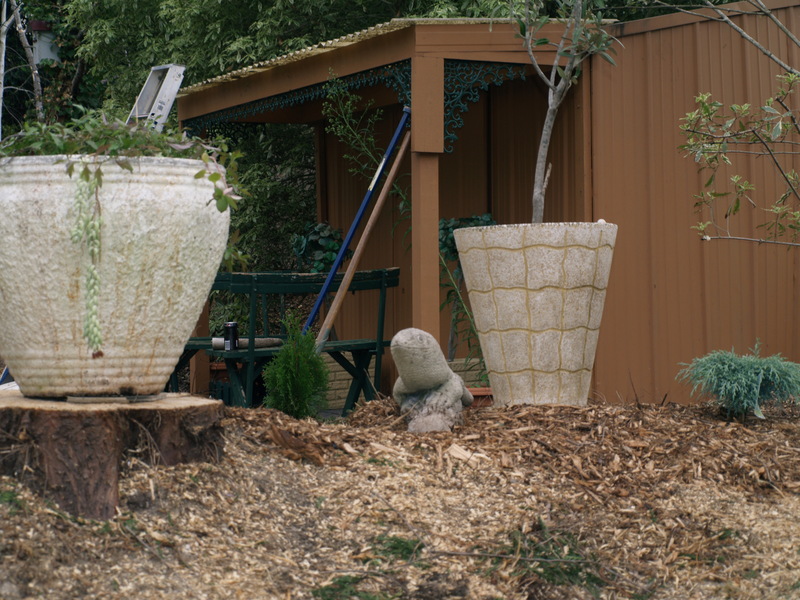 All our conifers and variegated pittosporums were mulched, and what better way to recycle this than to put it back on the garden from whence it came. 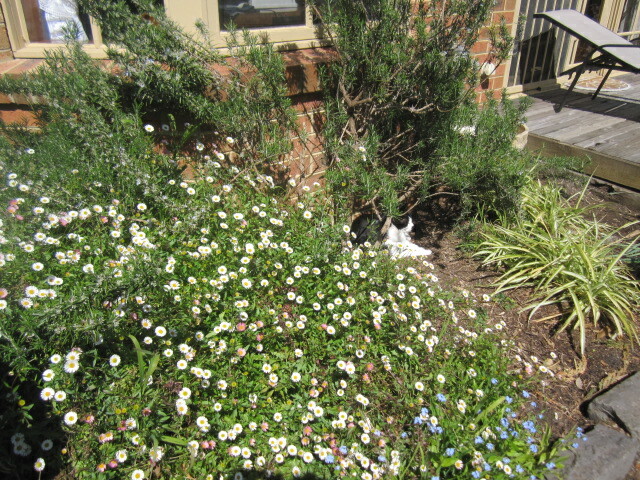 While mulching is great for weed prevention and moisture preservation, I have learnt something else. 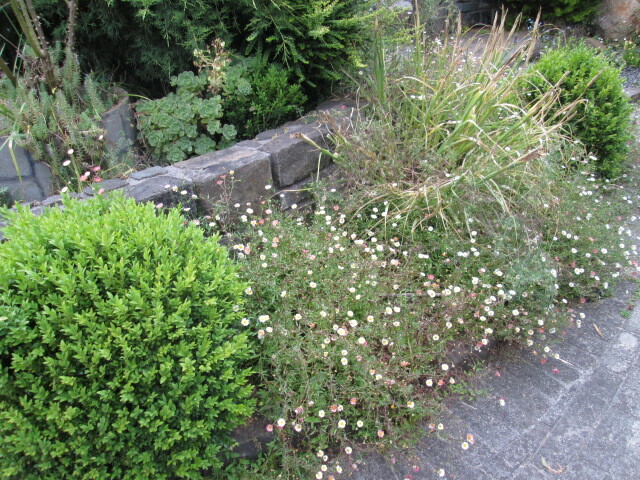 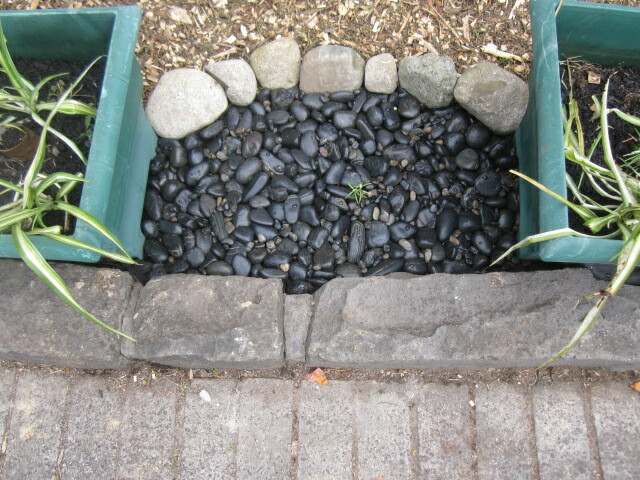 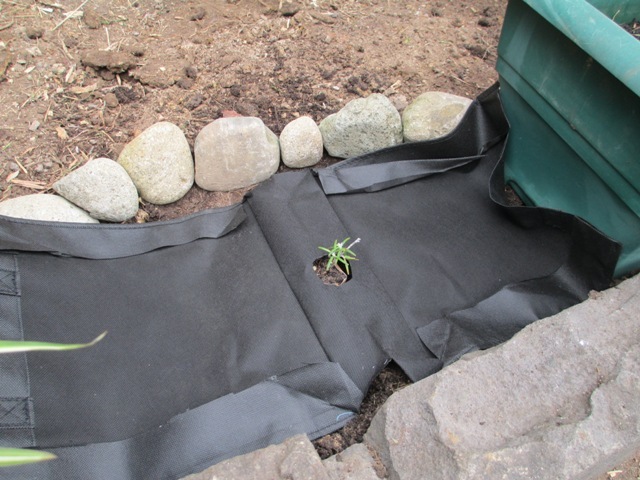 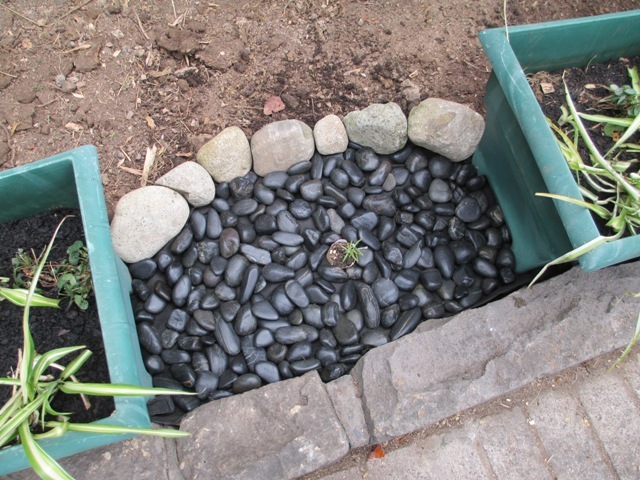 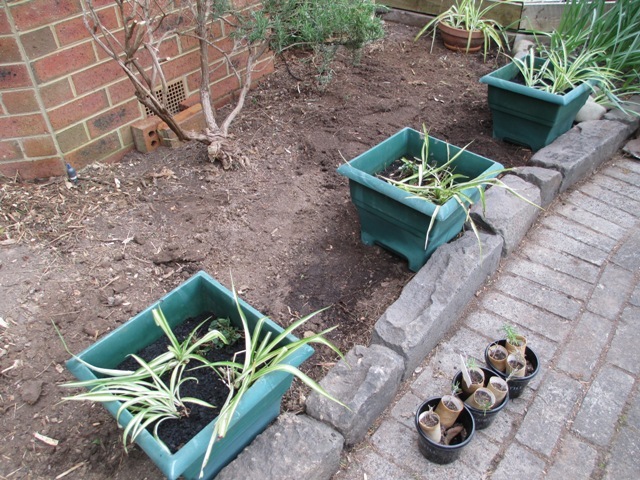 If you don’t maintain that mulch by keeping it topped up with fresh mulch, it composts and then in turn provides a beautiful bed for weeds to take hold, the very thing you were trying to avoid in the first place! 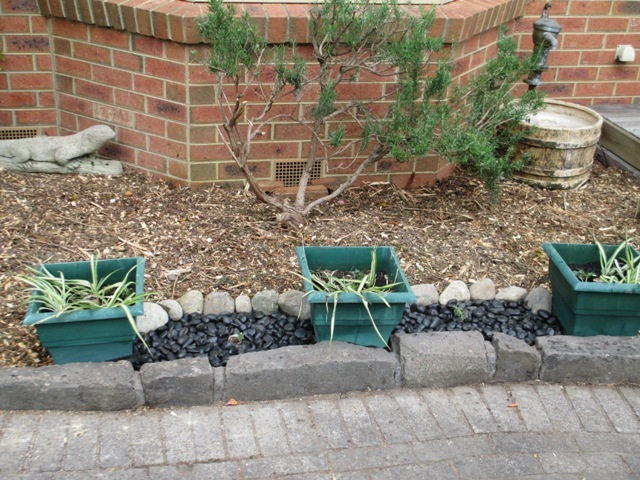 Dutchy and I spent two hours outside this morning, with me weeding while he moved twenty wheelbarrows of mulch into the back yard. 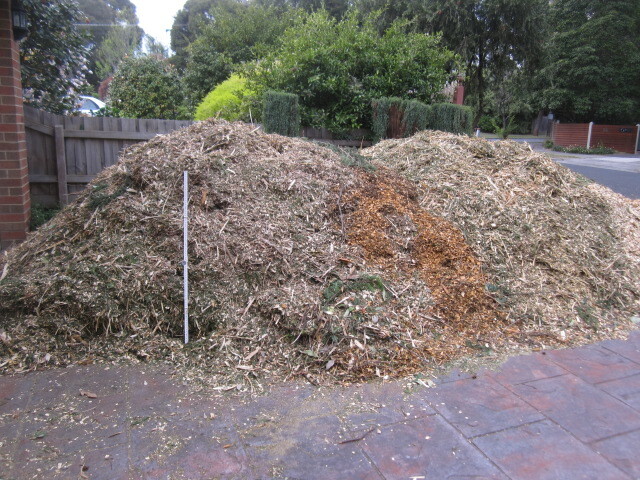 So far some of it has gone to the top tier, with the rest into the middle tier which I spread around after preparing the area. 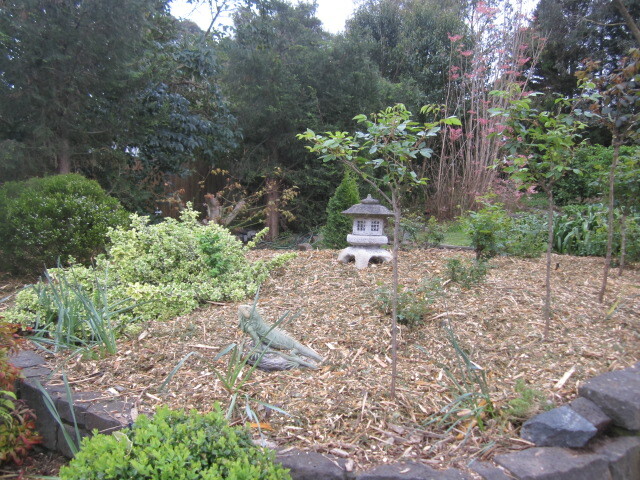 The rose garden is now entirely weeded and mulched, another great team effort.